Heinola played on the first pair for Lukko in their first game of the playoff series against Tappara. He was held pointless in their 2-3 loss but he played a total of 21:39 which was the second-highest total on his team. He played a little bit on the PK and saw significant time on the PP. Much of their PP seemed to be running through him, as he was the one standing on the blue line with one-timer options available at both wings. He also fired a couple of good one-timers himself. Heinola was very good and noticeable in the offensive zone cycle game. He had one excellent scoring chance after he found a soft spot in the zone and received a pass there but the goalie stopped his shot. Heinola had a total of 4 shots in the game which was third-most on the team. Heinola struggled a bit in the defensive zone. He lacks the strength needed in board-battles at the Liiga level. But that is nothing new to him. It was just a bit more noticeable now that the intensity and physicality have gone up after the playoffs started. He was forced to take one holding penalty in the game because he lost a board-battle and the opposing player got away from him, so that’s something he needs to avoid in the upcoming games and adjust accordingly. Heinola is known as a good rush-defender, and that ability was visible in this game as well. He’s very good at using his stick at the right time to block shots or cause the opposing player to lose the puck. Especially one stick-block was excellent as it prevented a very dangerous scoring chance. Heinola was in the first pair of Team Finland with Henri Jokiharju, but he didn’t play in special teams so his time on ice was under 14 minutes, the least of the Team Finland’s defenders. Heinola started the game well. He did not have real problems with the tempo and his skating looked good for this level of play. He gave solid, crisp passes at the beginning of game, but when his ice time dropped at the end of the game, the quality of his passing game also dropped and he started to make errors with the puck. He reads the game well for a such young player, but he made couple of bad decisions nevertheless. Unfortunately he was also often outmuscled at the defensive zone, but he played with really good intensity and work ethic and he didn’t give any extra space for the Swedish forwards. With this kind of attitude he will surely improve a lot at the defensive zone when he matures, especially when his defending with stick is already very good. Based on this game, I wouldn’t be afraid to give him responsibility at penalty kill if needed. 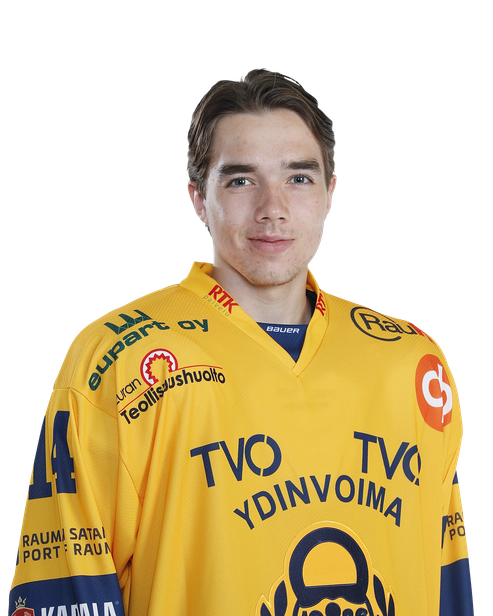 Heinola played 16:04 in his 18th men’s league game against HPK. Heinola has logged a lot of minutes during the first third of a season, which means his ice time was now under his season average. His record for a single game was 27:20 in a shootout loss against Tappara in the beginning of November. Lukko spent majority of the game in their own end, but Heinola got to play both special teams besides even strength play. He was more used on offensive faceoffs, but started some shifts on the own end as well. Heinola was one of the most impressive skaters on the ice, with good top speed and quick first few steps. Less physical and physically lighter than most of the other players, the youngster paid a lot of attention to the use of his stick, making some well-timed pokes and keeping his stick on the right side of the play. He often kept balancing the situation instead of running around to get the puck. However, in the offensive zone his positioning seemed wise as he stayed close enough to the puck when his teammated tried to take or control or the area. Overall, Heinola played a decent game and was able overcome the lack of overall strength with good stickwork and good positioning. Heinola made his debut in Liiga and was put straight in the second pairing where he played 15.45 of which 34 seconds on shorthanded. His game was really mature, and he didn’t look at all out of place in his first pro game. His skating was smooth, positioning sound and he was very poised with the puck. He also wasn’t outmuscled at all near to boards or in front of the net. Heinola is the kind of defenceman who isn’t great in anything but good enough in everything. He reads the game really well and very rarely makes mistakes with or without the puck. With this kind of showing, I think he will see a lot more Liiga action this season. He is definitely worth keeping in the radar regarding the draft. Heinola was the youngest player on ice but he played for almost 20 minutes on ice against Sport which was the second most in his team. He also got an assist. Defenceman showed a lot of offensive talent. He was confident with the puck and carried it a lot. Heinola showed great hockey IQ and recognized the situations well when he should carry the puck and when to pass it. Despite keeping the puck a lot, he didn’t give unnecessary giveaways except for the situation when he lost balance. He also supported offense when needed and his passing abilities are above average. Heinola is mobile player but he could be quicker. That is something that definitely needs more development. He also didn’t show a lot of physical play but he managed to do really well at the defensive zone thanks to his good positioning and effective checking with his stick. Heinola played with excellent poise and made calculated, smart decisions with the puck. He had a calming and reliable presence on Ässät U18 defense. He was able to keep forwards away from dangerous scoring areas thanks to his quick stick and strong awareness, knowing when to be more aggressive on the puck carrier. He was also eager to shoot and joined the attack at the right times.